To date, Ross has taken 13 tours with BBM! "The fact that I have now completed five tours (and signed up for two more) with Stu and have thoroughly enjoyed every one says all for my opinion of the quality of his tours. I will certainly treasure the memories of all the great beers that have been tasted, sites seen and the wonderful people that I have met on the tours. I would certainly recommend all of Stu’s tours to anybody who has liking for the amber ale, whether it be the lagers of Germany or the strong ales of Belgium. Thanks again Stu and I will certainly be back for more in the future." – Ross from Queensland, Australia. "Whether you are a die-hard beer aficionado or just beginning to develop a love of fine beers, this tour is well worth the trip. Between my boyfriend and I, we were able to sample over 100 different beers on this tour and had a fantastic time doing it. The tour was a nice balance of structured activities and time to explore on your own. Stu was also great at making suggestions for beers to try based on our tastes." Thanks again for a fantastic tour and give me a shout when you are in my neck of the woods, we should hoist a few pints together again in the future." 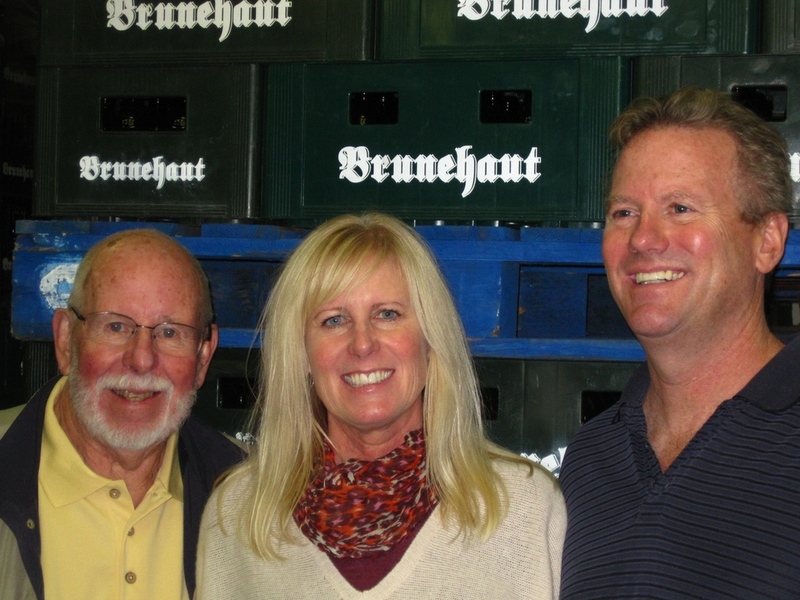 "I had the pleasure of joining The Best Damn Farmhouse Ale Tour of Belgium & France with my husband and father. The tour could not have been better. Great beer, fabulous food and getting one on one time with the rock stars of artisanal brewing. Stu is a knowledgeable and enjoyable guide. I highly recommend this tour." Second from left on the other Abbey Road. We had a blast on the Zythos Tour. Thanks again Stu for setting up an awesome trip!! Tried lots of beers and met lots of cool people on this trip. It was fun hanging out with all of you. My only regret is that I couldn’t bring back more beer than I did. – William & Sharon from Edmonton, Alberta, Canada. "Had a wonderful time on the Ardennes Mountain Spring Beer Tour of Belgium -- beautiful scenery, great beers and nice people. Stu made sure we were well taken care of, finding unique out of way places that we would have never toured and beers we may not have discovered on our own. He eased us into this great experience from travel preparations to sending us safely on our way back home. Not that we wanted to leave -- already dreaming of our next tour!" – Lynda & Jim from Norristown, Pennsylvania. * They also did the Christmas Beer Tour, too! "Had such a great time on our Zythos Tour. I admit we were a bit sheepish to be travelling with so many people but each one of you was such a pleasure to meet, tour, and enjoy fantastic beer with." "My brothers and I had an incredible time with you beer hunting through Belgium. Thank you for setting up the private tour (Great Chicago Brothers Beer Tour of Belgium). It was an amazing experience we'll treasure for a lifetime." – The Valdez Brothers and Eduardo, Chicago. "Myself (L) and a brewing mate from Bendigo in central Victoria, signed up very early for the Farmhouse Ale Tour of Belgium in September, we had plenty of time to wait. The tour through west Belgium and north eastern France was even better than expectations ( which were high ). The scenery during our travels was brilliant, as were the wonderful breweries we visited. The matching of and cooking with beer was delicious. The beer and food of Belgium and France were great. Stu has a great relationship with all the brewers we met. They were happy to answer any questions and were very knowledgeable and friendly. Stu’s knowledge of Belgium and his relaxed and friendly guidance was of great help. The beers on offer from everywhere we went, were superb and what a thrill to sample the latest Trappist beer from Mont des Cats Brewery in France , West Flanders, right on the Belgium border. Our accommodation was very comfortable with lovely breakfasts. A brewery tour is a great way to meet interesting people from all walks of life, I would thoroughly recommend Stu’s tours to anyone." – Andy from Melbourne, Victoria, Australia. "Our honeymoon to Belgium and France (Farmhouse Ale Tour of Belgium) in October was awesome and beyond expectation!" – Nikki & Michael from Chicago, (Half Acre Brewing Co.). "I’d like you to know that Susie and I had a GREAT time on the tour (Bruges Beer Festival Tour) – and I know Aaron and Angie did as well. We enjoyed all aspects of the trip and thought you did a great job. We never felt rushed but got to accomplish a great deal in a relatively short amount of time. The accommodations and meals were super and the trip was just plain fun. No wonder Aaron and Angie were so excited to get to go again!!" "...We both want to thank you again for doing such a good job putting this tour together and leading it. Insuring that everything runs smoothly and looks effortless takes a tremendous amount of work and a diverse skill set and you did an extraordinary job putting everything together. In the past Anne and I have always put our own trips together, and we were a little nervous about what it would be like to do a group tour. However, our fears turned out to be completely unfounded and we both agree that there is no way we could have come close to duplicating your tour on our own. We are already talking about what our next tour should be." "Okay all you beer nuts! I remember the people and the places like it was yesterday and it was AWESOME!!! He knows what he is doing. We never would have found some of the places he took us to! If you are interested in traveling to world class breweries in parts of Europe, check out his webpage. He's the best!!! Trust me!" Larry with Billy Gibbons of ZZ Top in Brussels during the beer tour. "Stu, not a day goes by without thinking about our trip! (Trappist Tour) I hope to join you again sometime. Keep up the good work, changing lives, one beer tour at a time!" "Man, that was fun! I will definitely consider another beer tour as way to get away from it all. You basically covered all of the details so that all I had to do was get on a bus. I've been on tours before, and this was my favorite by far. Not just because of the content (obviously awesome), but because of the good pace and organization. I never felt rushed or hurried (maybe a tiny tiny bit during the Toer de Geuze, but if that's not frantic you're doing it wrong), and I never felt like I was bored and pointlessly sitting on a coach. That organization and pace are the mark of an experienced guide with common sense. I feel like you made a tour that you'd enjoy, and that's pretty cool." – Matt & Rebecca from Rochester, Minn., Wild & Spontaneous Tour '15 & '17 and Farmhouse Tour May 2016. "Everyone enjoyed the tour... I really thought you were 'hands on' and went the extra distance on many occasions. We are all beer geeks and you catered to that crowd very well. I will absolutely take another tour in the future with BBM! and highly recommend you to my friends!" –Big Mike from Roseville, Cal., Legendary Zythos Beer Festival Tour, Best Damn Farmhouse Ale Tour & Lonely Monks Trappist Tour. 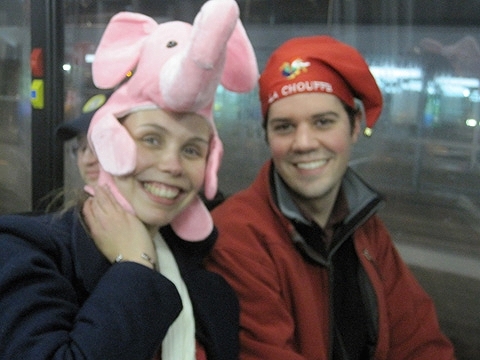 "How can I explain how much I loved my experience on the Wild & Spontaneous Tour? The words that come to mind are "incredible" and "beyond expectations." Stu is an accomplished tour guide. He sets the tone of camaraderie; our group had a lot of fun as we visited the scheduled stops including the breweries, blenderies, cafes and other destinations. Whether you are a brewing industry professional, a homebrewer or maybe you are not even a beer enthusiast, BBM! is a great way for anyone to experience everything Belgium has to offer. Getting around in an efficient and effective way is very important so that your valuable time is not wasted. With BBM!, your plans are well thought-out and you feel like a VIP with every step. It was a vacation of a lifetime and I will be joining BBM! trip again in the near future." "The Legendary Zythos Beer Festival Tour was truly one of my best beer travel experiences. (Yes, you can quote me on that). 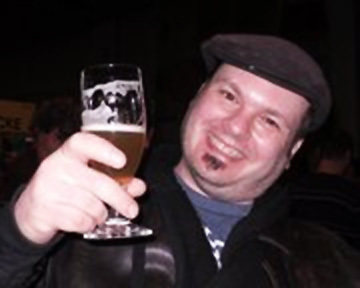 "–Tom Dalldorf, Publisher & Editor of Celebrator Beer News, Nevada City, Cal. did you just come back from a tour? We would love to hear about your experience. Please share with us. Sante! Thank you for taking the time to share your experience on a BBM! Tour.